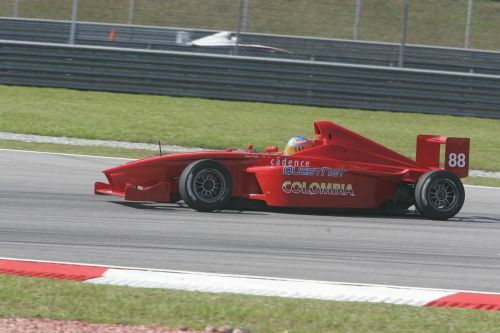 Colombian racing sensation Oscar Tunjo, touted as the next Juan Pablo Montoya, has signed to drive for MERITUS-GP in the 2010 Formula BMW Pacific which flags off next weekend. The son of a car salesman in Cali, Colombia, Tunjo has been racing competitively since he was just three-years-old and is the youngest driver to be recognised by a federation of global karting by passing the Mobil Karting School in Colombia. He is also the youngest driver to receive a license as a novice pilot when he was five. Two years later, he was crowned the national champion in the Easy Kart expert cadet, an event closely associated with former Formula 1 driver Juan Pablo Montoya. Tunjo has now set his sights on going one step further than the Colombian icon by one day winning the Formula 1 world title. 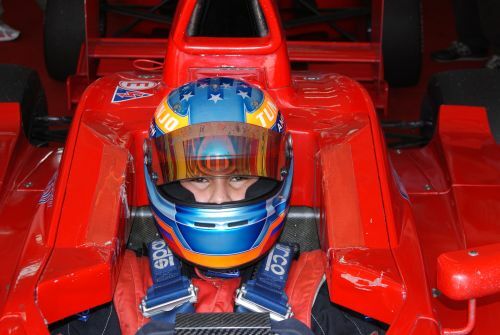 “Getting my FIA license approved for this season’s Formula BMW Pacific was the happiest day of my life,” said Tunjo. “I’m looking forward to this year’s championship as I believe we have a good car and should be challenging for the title once again. He was enticed to race for MERITUS-GP as the Malaysian company has an unsurpassed winning record. It is also recognised as the best training ground for F1 aspirants, as evident by its collection of former drivers who have graduated to the highest level of racing. “My dream is to make it to Formula 1 one day and I see Meritus as the perfect stepping stone for me,” said Tunjo, who, surprisingly, chose Michael Schumacher over Montoya as his favourite driver. Young he may be, but Tunjo is certainly going places. Q: How did the contact with Meritus-GP happen? OT: After meeting up with Peter Thompson. Meritus has a great reputation and working with him was easy. Q: What attracted you Meritus-GP? Q: Where did you race before? Q: What did you do the most recent weeks to stay in shape? OT: I have a personal trainer at the gym. I go four hours a day, two hours in the morning and another two in the evening. Q: How do you prepare for each race, mentally and physically? OT: Mental trainer to stay focus and a personal trainer to keep fit. Q: Do you have any superstitions before a race? Q: When looking at the calendar and at the track maps, which Formula BMW Pacific circuits will you enjoy most? Q: What is your favorite circuit in the world? Q: Are you a good son? Q: Do you have brothers and sisters? Q: Do your parents support your racing career? Q:: What is your best quality at home? Q: What is your best racing quality? Q: Which driver do you admire most? Three Scholarships Awarded to Formula BMW Pacific. Formula BMW Pacific gears up for watershed season. Will Buller on pole in Macau. Victory for Regalia as Haryanto closes in on 2009 title. Facu Regalia on pole in Japan. Formula BMW Pacific heads to Japan for penultimate 2009 meeting. Dixon, Sakurai earn 2010 Formula BMW Pacific Junior scholarships. Felipe Nasr on pole in Singapore. Bumper grid for Singapore thriller. Perfect weekend for Haryanto in Indonesia. Rio Haryanto takes over championship lead with third win. 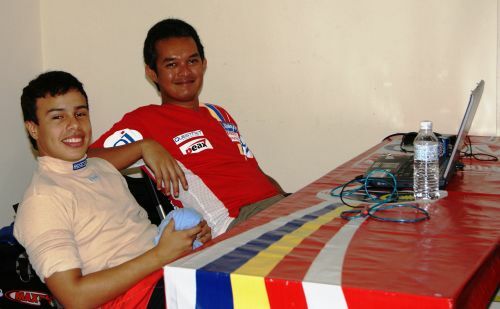 Double victories for Rio Haryanto in Indonesia.